First of all, wherever you are in your parenting journey, congratulations! 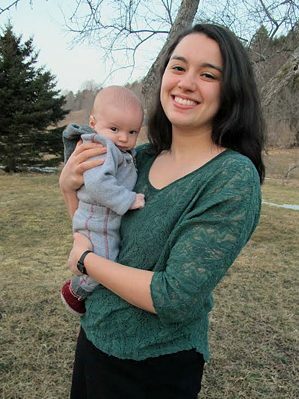 I’m Jessica Taffet, a birth and postpartum doula serving growing families throughout Central Vermont and the Upper Valley of Vermont and New Hampshire. Welcome to the internet home of my doula practice. As a doula, my goal is to support you while you empower yourself in your pregnancy, during your labor and birth, and while you are bonding with your newborn during the postpartum period. I don’t have any preconceived notions about what you should be experiencing, the choices you make during the childbearing year, or your parenting decisions. This is your pregnancy, your birth, your body, your baby, and your family; my job is to help you create an internal and external environment that feels safe and rewarding as you navigate the childbearing year. A little about my background: My first job as a teenager was as a mother’s helper. I became enthralled with the world of pregnancy and newborn care, and gained many invaluable experiences babysitting and nannying throughout my high school and college years. As a history major in college, I collected intergenerational oral histories of women’s experiences with birth and new parenthood. 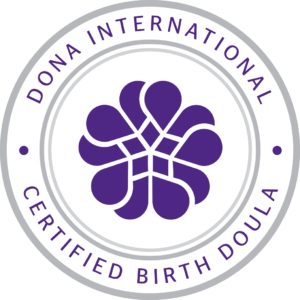 During my last semester of college, I completed my birth doula training through DONA International, and the following year I completed my postpartum doula training, also through DONA. I began working in the birth world full-time in 2014, and have learned so much from the wonderful families I have had the honor of serving! In addition to my private doula practice, I have worked as a doula for Washington County Mental Health since March of 2015. When I’m not working as a doula, I enjoy redecorating my home in Randolph Vermont, cuddling with my cats, watching British TV dramas, and enjoying all the awesome natural and cultural resources that this area has to offer.